Securing a Domain Name: Everything You Need to Know About Registering a URL | Host.ie - Linux Hosting packages for all your Irish web hosting needs. Once you’ve decided to build a website, you have an important decision to make. Before you even begin to consider web hosting services, you need to choose a domain name. Even if you already have a list of potential domain names, you have another hurdle to overcome. How do you stake your claim to the perfect domain? Since your domain name is the first thing potential customers will see, you’ll need to register a domain that represents your website. Whether you’re looking to solidify your brand, gain more exposure, or add to your credibility, having a website with an effective domain name is the key. Here are some tips on how to get started securing a domain name for your website. Before you begin, be sure that you have a solid list of different domains to choose from. The last thing you want is to run into a roadblock when your dream domain isn’t available. Then, narrow your list down to the top five domains. Make sure these choices are simple, readable, and memorable. Now that you’ve compiled your list of potential domains, it’s time to get them registered. We’ll take a closer look at each option below. Registering a domain name through a hosting account is simple. When signing up for a web hosting account, you can select a package that works for you and your business. On the next page, you’ll be able to register your own domain name. Just enter your chosen name and pick your extension, and the hosting service will tell you if it’s available or not. You can then work through your list until you find the perfect domain. By combining web hosting and domain, you’ll be simplifying the process. In addition to saving you time, it can also save you a lot of money too. Some hosting services offer free or discounted domain names for those who sign up through their service. If you’re not using a web hosting service or want to purchase a domain separately, don’t worry. You can still secure the perfect domain without a web hosting service-or doing it independently. In this case, you have plenty of options to choose from. There are dozens of different domain registrars out there that you can use. Pick the registrar you want to use. Then enter your desired domain name and extension. If it’s available, you can pick your combination and complete the checkout. While the process seems simple enough, you might run into some complications. 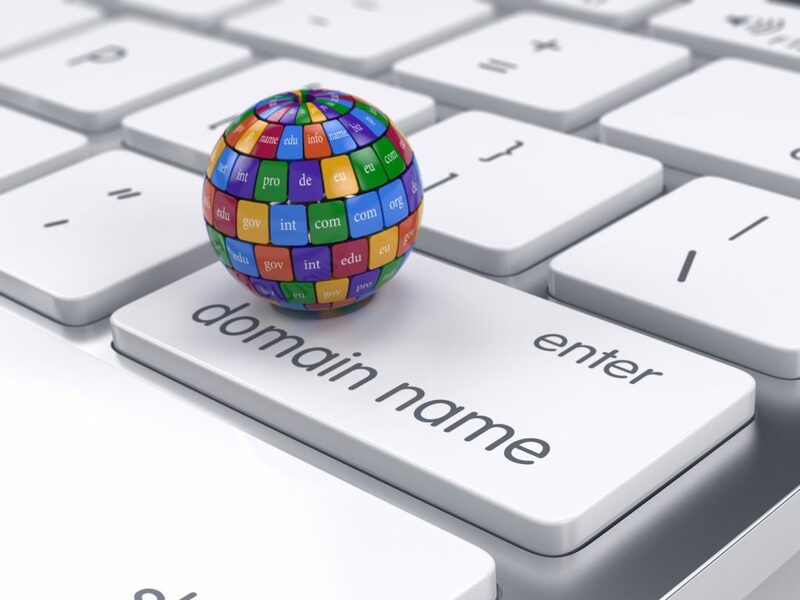 Here are some tips for selecting the best domain name and securing it for your website. It isn’t just about finding the available domain name. You’ll be able to choose an extension as well. This can include .com, .net, .org, .info, and more. If your perfect domain name isn’t available with .com, you can consider using a different extension. But keep in mind, most domains have the .com extension. This means it’s more familiar and easier to remember. Going with .com is a safe bet. Start by trying to secure a .com domain for a few of your top names. If you have your heart set on a certain domain and .com isn’t available, the next popular extensions are .net or .org. Once you buy your domain, you’ll have to renew it in a year, two years, or longer. Be sure you remember to do so. Otherwise, your domain name will go offline. If you wait too long, it could go back for sale and someone else could buy it. Check your contract to see when the domain name will expire and make a note to renew it before then. You can also set it to automatically renew-just be sure to keep your information up to date. Before you buy a domain, do some research on the names that you’ve chosen. Make sure you’re not using any trademarked words or phrases. Even if it’s just a mistake, it can cause you a lot of legal trouble down the line-and you’ll lose your domain. Also, some words can have more than one meaning. Search for the word online and check for alternate meanings. You can also run it through a translator to make sure it doesn’t mean something else in a different language. Once you buy a domain name, you don’t have to stick with it forever. If you want to change your domain name, you’ll have to log into the web hosting service or domain name registrar that you used to register your domain. From there, the process will vary based on the service you used. But the process is simple-just be sure you’re ready to change your brand and take all the necessary steps to update your website. If you’re with a current web hosting service and you want to switch, you can also transfer your domain name to a new host. If you don’t have a website yet, there’s no better time than 2019 to get started. The first step is securing a domain name for your website. With this guide, you can register your domain name and find the perfect domain name for your business. Looking for a web hosting provider to support your new website? Contact us to learn more!